Nikon's factory in Ayutthaya, Thailand has been submerged by floodwater, suspending the manufacture of the company's entry-level cameras and lenses. "How much this affects production will depend wholly on how soon we can restart the factory," a Nikon spokeswoman said today. "The first floor of all buildings at the premises are presently submerged. We are continuing to investigate details of the damage, but are unable to predict how soon operation will be resumed. We will set up our recovery support system and endeavour to restart its operation as early as possible." 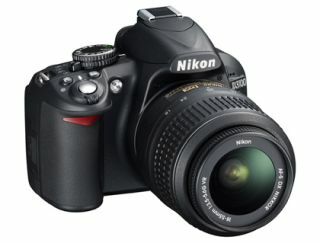 Since 2009, all Nikon's DX format SLRs have been produced in Thailand. The Thai factory also produces most of Nikon's DX zoom lenses. According to Reuters, shares in Nikon dropped 3% on the news. The reports follow yesterday's news from the region that flooding at the Sony factory will cause delays in the shipping of the A77 and A65 SLTs.